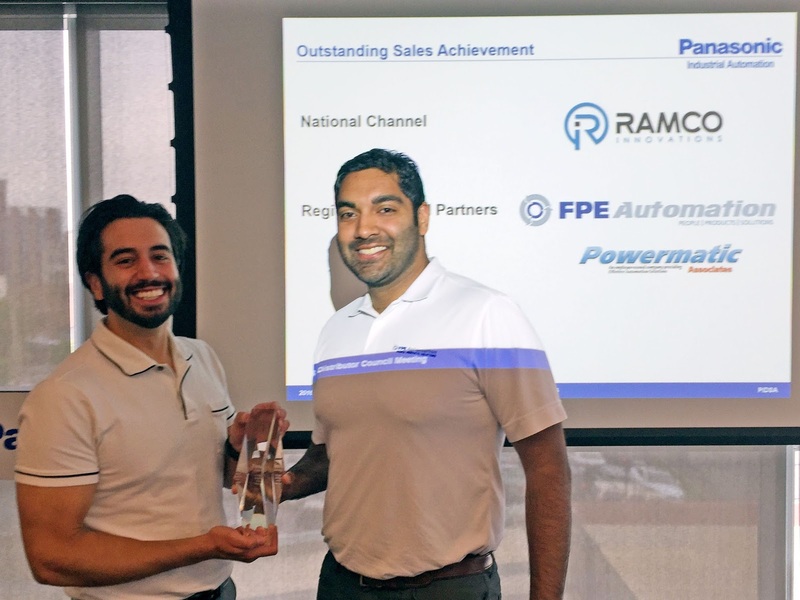 FPE Automation's Joey Bardos and Jomy Vadakumpadam are on the East Coast this week visiting Panasonic. They sent in this pic of the two of them accepting an outstanding sales achievement award! Here's why we're proud... this is not just a pat on the back. It's Panasonic's highest award given at this event. Congrats to them and the entire FPE team for their efforts. We are honored to accept this!!! The new Stainless Steel Flat-I is designed specifically for industries and applications that require cylinders to be resistant to wash down chemicals and highly corrosive environments. A variety of industries, including medical, health and beauty, and food and beverage, are best served by this unique new design that eliminates catch points where bacteria can grow and make cleaning difficult. Bimba's Stainless Steel Flat-I product catalog provides detailed cutaways and product information, as well as an ordering guide. The IP69K rating offers you peace of mind that no matter how dirty your application, or harsh your cleaning practices, this cylinder's internal working parts are protected! Omron wanted us to let you know! 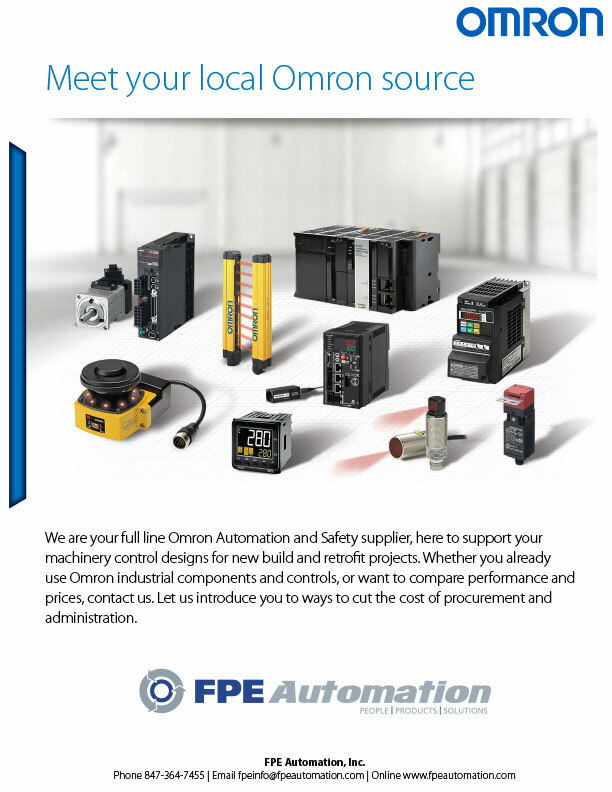 We are your full line Omron Automation and Safety supplier, here to support your machinery control designs for new build and retrofit projects. 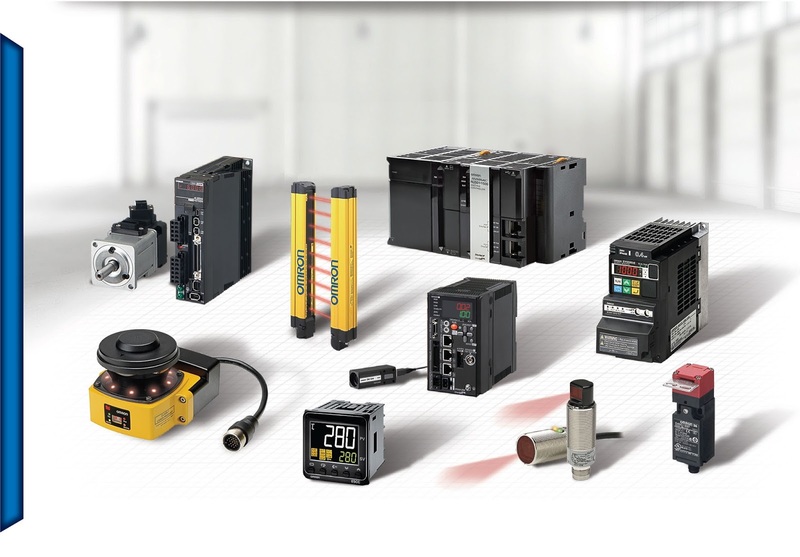 Whether you already use Omron industrial components and controls, or want to compare performance and prices, contact us. Let us introduce you to ways to cut the cost of procurement and administration. For several years now, FPE Automation has teamed up with Murr Elektronik to offer you special savings on connectors, valve plugs and power supplies. Quality essentials, great pricing. We've expanded our selection. Take a look! High-quality switch mode power supplies. Compact, innovative terminal block style relays for a wide range of industrial applications. At just 68mm, LCIS relays are ideal for DIN rail mounting in low depth distribution enclosures. Download the brochure with full specs. Visit the Lutze website for more information. Contact FPE Automation for a quote. Download "5 Things to Look for in a Vision Sensor"
Are you looking for a vision sensor to help with simple presence/absence inspections on your manufacturing floor? On paper, all vision sensors look like they could get the job done. Selecting a sensor with these 5 features will help ensure your error-proofing applications run smoothly and accurately. Enter to win 6 In-Sight 2000 vision sensors to help with your product inspections. Check out this video showing Piab products used by Apple while recycling old iPhones with their robot, named Liam. True innovation means considering what happens to a product at every stage of a product's life cycle, and there are opportunities out there for American manufacturing to stay strong by developing technologies such as these. Fascinating!